Fizber's Featured Listing provides the best exposure on Fizber.com. Featured Listings rank on top of Standard Listings whenever a potential buyer performs a local search on Fizber.com. In addition to top ranking, your listing will also be Featured on the Fizber.com homepage at time of listing. Selling your home can be confusing. We will walk you through the process and provide you with all the disclosures and paperwork needed to give you piece of mind and confidence when selling your home. One of the best ways for prospective buyers to gain interest in your home is through an Open House. Make sure prospective buyers know you are holding an Open House through the Open House Manager tool. This tool will highlight your listing so that prospective buyers know that you are having an Open House and what time it starts and ends. 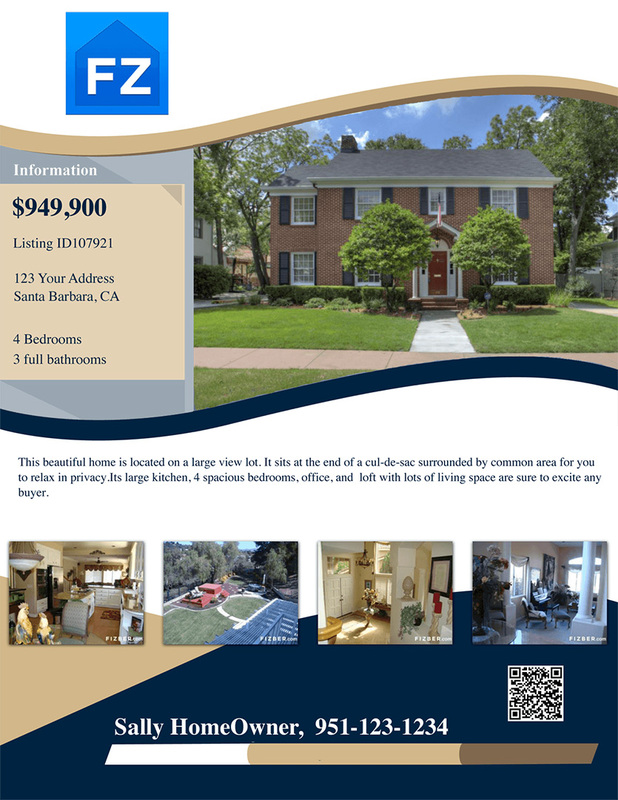 This information will be displayed on your Fizber listing and will also be sent to Fizber’s syndicated partner sites, like Zillow.com.